Conrad Pezula – Award winning Pezula Spa & Gym is a calm sanctuary that reflects the soul of Africa in the natural elements and textures of its exquisite décor. The superb facilities include a gym, 12m heated indoor pool, sauna, steam room, rain forest shower, juice bar, nail bar, hair salon, nine therapy rooms and post-treatment room. 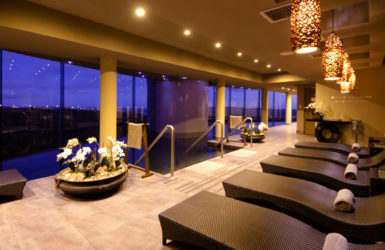 La Spa Tranquille – Le Spa Tranquille is situated on the edge of the scenic Knysna Lagoon in Thesen Island Harbour town. Restore your wellbeing by indulging in treatments on offer from vichy shower scrubs, massage, hot stone therapy, reflexology, body wraps, specialising in Clarins and Guinot facials and bridal packages. ZenSense – Experience the zen feeling as soon as you enter! A day spa in the heart of Knysna offering relaxing spa treatments, in a great atmosphere and with welcoming staff. Whether you live in Knysna, or if you are simply visiting the region, Zen-Sense Day Spa is an affordable, high-quality option for your skincare and body treatments, manicures, pedicure, facials and bridal packages. Simola Spa – Set high in the hills above Knysna, Simola commands an awe-inspiring view of the entire surroundings of mountains and the Knysna Lagoon. You will be enchanted by the view before you even enter the spa. Indulge in specialised body therapies and beauty treatments with our holistic focus on balancing body, mind and spirit. Amani Spa – Located in the distinctive Turbine Boutique Hotel and Spa situated on Thesen Island, alongside the Knysna Lagoon. The spa offers a wide variety of body, facial and beauty treatments, an exotic mosaic-tiled rasul (spa room decorated in the style of a Turkish hammam), and a unique Massage Pedi Chair that will take traditional pedicures to a new level of pampering. Emzini Tours – Ella & Penny will collect you from your accommodation establishment and be your personal guides during a two-hour visit to one of the local communities of Knysna. Visit a nursery school, amongst other stops, and interact with the children and learn more of the challenges they face every day. 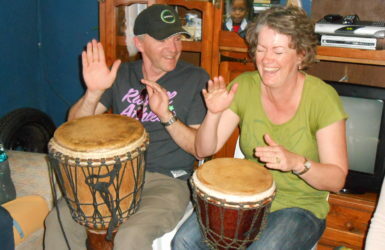 Wandu Tours – MaWande is a well-known character in Knysna and his restaurant in the township is an interesting experience. He has developed his small subsidised government home into a three-bedroom house with the restaurant on the first floor. Peggy’s Art & Tours – Peggy Dlephu is a true African Artist! She is passionate about painting which can be seen in her colourful and vibrant paintings that tell the many tales of Africa through its people, experiences and landscapes. Join her on a township tour!